JEGA Gallery currently features contemporary art by preeminent Northwest artists in a variety of media. Art to entice you to think, debate, laugh & enjoy! First Friday Ashland Art walk JEGA will be open from 5pm to 8pm with live music and refreshments. JEGA features the following artists: Steve Bieback, Metal Sculpture; Jason Bueter, Photography and Metal Garden Art; Kathy Beal, Abstract Painting; Chris Dworin, Ceramic Sculpture; Dawn Ferrari, Stone Sculptures; Neil Stewart, Contemporary Sculpture; Tej Steiner, Ceramic Sculpture; Daniel Verner, Acrylic Paintings; Ingo Wedde, Outdoor Metal Sculpture; And J. Ellen Austin, Stone, Bronze and multi media Sculpture. 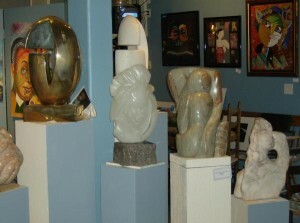 The JEGA Gallery is a little unusual, as it is artist owned and bypasses the traditional gallery set up and mark up! Such an incredible array of art from talented artists in our Rogue Valley and beyond! These works of art comprising photographs, sculptures, drawings, paintings will inspire and provoke you. Living With Art! The JEGA Gallery and Sculpture Garden features works of art including photographs, sculptures, drawings, paintings that will inspire and provoke you! The JEGA Gallery Art Triplex nestled in Ashland, Oregon’s Historic Railroad District on the corner of 5th Street & A Street. 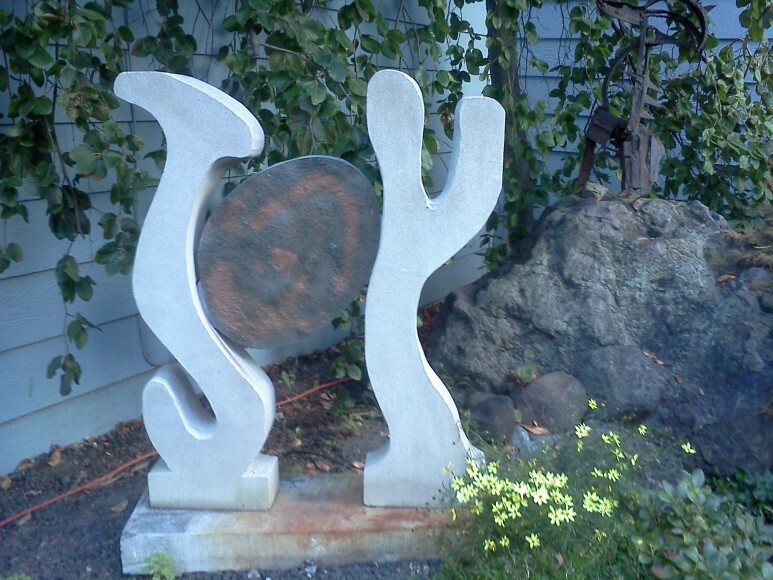 625 A Street As a working art studio, JEGA’s exhibits include a bodacious mix of visual and contemporary art. ←Previous Post: JEGA Gallery’s May Celebration of Motherhood and the Divine Feminine with works of art comprising photographs, sculptures, drawings, paintings that will inspire and provoke you.